365 pages | 1 Color Illus. | 21 B/W Illus. In today’s confrontational and connected world, communication is the key strategic act. This book uses drama theory—a radical extension of game theory—to show how best to communicate so as to manage the emotionally charged confrontations occurring in any worthwhile relationship. 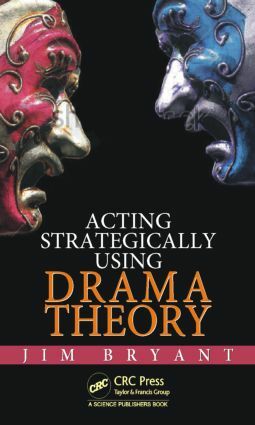 Alongside a toolset that provides a systematic framework for analysing conflicts, drama theory explains why people need to listen to, and rely on, their feelings to help shake themselves out of fixed, unproductive positions and to find new ways of solving tough problems. This guide provides a sufficient grounding in the approach to enable you to apply it immediately for your own benefit and for the benefit of those with whom you work. A host of inspirational examples are included based upon actual situations in social and personal relations, business and organisational relations, defence and political management. These will give you an entirely fresh way of seeing how power is exercised in everyday interpersonal exchanges and a greater critical awareness of such factors as subtext and plotholes in public narratives. Using this approach you will be able to overcome the dilemmas of credibility and disbelief to build compelling messages that underpin your strategic intent. Moving beyond the vague platitudes of concepts like emotional intelligence, drama theory will also help you to avoid the pathologies that bedevil the process of managing conflicts and find ways of achieving authentic resolutions.